If you are a landlord, you very well know renting is not only about collecting money. You know that you have to invest a bit into your renting residential units, just like you have to invest in your own home. You need to invest some time and money, you need to develop, monitor and maintain your assets. Even though all this investment into your rental seems pointless, over time it is guaranteed to increase your income and the value of the property. This means that you are promised a bright future when it comes to renting or eventually selling the property. Everything has its expiration date, and things are bound to wear out or break. However, you should carefully think about whether you should repair or replace the item. When it comes to carpets, walls and ceilings, you should definitely repair them. The total replacement of these can cost you much more money and it will waste the time both of your tenants and yourself. That is why it is better to clean the carpets, repaint the walls and ceilings, and hire a professional to repair any of these if necessary. However, when it comes to mattresses and appliances, there is nothing to repair. Mattresses should be replaced often, so your tenants would remain healthy. Any faulty and old appliances should be also replaced, since they can be dangerous for your tenants’ safety. 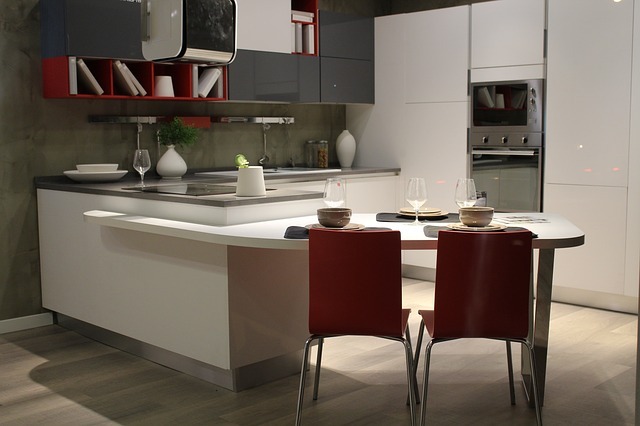 Kitchens and bathrooms can provide the best wow factor and tenants will love them. No one likes spending time in moldy bathrooms and dirty kitchens, so make sure these are renovated and clean. Also, they won’t settle for old appliances and outdated technology, so make sure to upgrade everything you can. Ditch the old stove, replace the sink and fix those cabinets. You can even add a microwave and a new oven and the kitchen will be complete. As far as the bathroom is concerned, tenants will look for a clean, relaxing sanctuary where they can spend a great deal of time taking care of themselves in peace. You should opt for replacing the old tiles, bathtubs and showers with the materials of the highest quality, suggest Sydney’s experts for bathroom renovations. Additionally, you should use this opportunity to make the bathroom more earth-friendly. Replace the old bathtub with a shower and decrease the consumption of water while providing more space. Install low flow shower heads and toilets in order to conserve as much water as possible and make sure that the plumbing is functional in order to avoid any bathroom disasters in the future. This doesn’t mean you should paint the whole house or an apartment green. You can, but make sure to pick a subtle shade. What you should actually have in mind is investing a bit more in energy efficiency and preservation. Old appliances should be replaced with new eco-friendly ones. Search for the fridges, washing machines and dishwashers with Energy Star label and you are guaranteed durability. Also, these are energy efficient and will lower the utilities. Additionally, you will raise the awareness of your tenants and they will appreciate their new, energy-efficient home. In the ideal world, all the renovations should and would be done when the rental is empty. In other words, everything should be completed before you accept any tenants. Such ideal situations give you more flexibility and you don’t have to worry about disturbing the privacy and daily routines of your tenants. Even though such perfect situations are possible, sometimes it might not work out as planned. If you have to do some renovating while your tenants are there, make sure to talk to them before you make any arrangements. You have to provide them with the plan and with estimated duration of works. This gives them the chance to plan their lives around the works and they will be grateful for respecting their time and privacy. When you think about it now, investing in your renting residential units can actually pay off. Not only will you make the rental more homey and comfortable, but you can attract more serious and respectful tenants. Consider these renovations and you are guaranteed a bright profitable future with your rental and excellent cooperation with new tenants.